after only 2 voice lessons with me. Vocal lessons at APPELL VOICE STUDIO work! voice lesson at APPELL VOICE STUDIO. work great for rock singers. by 8 notes after only three voice lessons with me as her vocal coach. Vocal lessons at APPELL VOICE STUDIO deliver results! Click here to set up your first voice lesson! is because of the amazing improvement I've been able to see in my students. Yes, I do SKYPE training! Singing Lessons at Appell Voice Studio With Orange County Vocal Coach Thomas Appell Work! Take a moment to watch the welcome video. This sounds like exactly what I’m looking for! 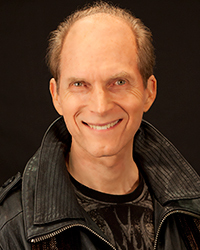 I want to set up a voice lesson at APPELL VOICE STUDIO with Thomas Appell ASAP! 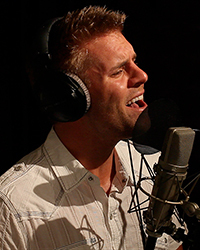 Vocal Coach Thomas Appell – More than 4,000 singers trained. More than 40,000 hours of experience. Can you sing a HIGH C without straining? If not I can teach you how. I’ve trained more than 4,000 singers to sing high notes without straining, including Noodles from the OFFSPRING, Cove Reber from Saosin, Beau Bokan from Bless the Fall, Melissa Schuman from Dream and YouTube superstar Tiffany Alvord. They’ve all allowed me the privilege of being their vocal coach! After only two voice lessons with me at my Orange County studio Noodles had already increased his full voice range by 7 notes and the band’s next record (Americana) sold more than 10 million copies with a special thank you to me in the liner notes! After 3 voice lessons with me Melissa Schuman had increased her full voice range by 8 notes! Tiffany Alvord increased her full voice range by 7 notes on the first day of her training! When looking for a vocal coach the most important things to consider are “What do the singers sound like that take voice lessons at this studio?” and “What do they say about the vocal instruction they’ve received?” Before going anywhere else on this site, please take a few minutes and click on the video, audio, and testimonials links. See what my students sound like after training with me and what they say about vocal lessons at APPELL VOICE STUDIO. I’ve been a vocal coach in Orange County, CA for more than a quarter of a century, and I’ve had the privilege of training more than 4,000 singers how to sing a HIGH C without straining! Why are my vocal lessons so effective? Learn More. I’ve given a lot of voice lessons to famous professional singers with spectacular results, but I love training beginners too! If you’re new to singing but want to sing like a pro, you’re a prime candidate for voice lessons at APPELL VOICE STUDIO. Learn More. Can you sing a HIGH C without straining? If not, you’ll learn how with singing lessons at APPELL VOICE STUDIO. If I’m your vocal coach, I promise to show you conclusive proof at our first lesson why anyone with a healthy voice can learn to sing high notes safely and comfortably with lots of power. Learn More. If you’re devoting time to improve your singing, it’s important to take vocal instruction with proven results. Learn More. Voice Lessons That Nurture Talent! 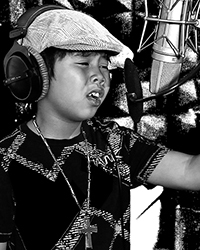 You’ll be happy to know that vocal training at my studio works great for kids. Would you like to know why it’s safe for your child to take private lessons before puberty? Learn More. I’ve been a vocal coach in Orange County since 1987 – delivering more than 25 years of top level voice training to Orange County singers! Singers often drive in from Los Angeles, Riverside and San Diego Counties to take voice lessons with me and many fly to Orange County for vocal instruction at my studio from around the world. Singers have come from as far away as India, Austria, France, Germany, Japan, Canada, England and The Netherlands to work with me as their singing coach so if you live within a few hours of APPELL VOICE STUDIO, you’ve got it easy! I teach in a super cool recording studio and write, arrange, record and produce music for the singers I train. I also have contacts with many record labels. If you want to go all the way as a pro singer I can give you the voice, the music and the connections to help realize your dream. I’ve written one of the best-selling books in the world about singing, Can You Sing a HIGH C Without Straining? Singers from around the world have unlocked the mystery of how to sing high notes by reading this book. My book is a great resource but not intended to take the place of the fastest way to improve your voice: private one-on-one voice training. Singing lessons at my Orange County studio start with a 45 minute Introductory lesson. You can set up an appointment right now by clicking here. May God bless your singing!